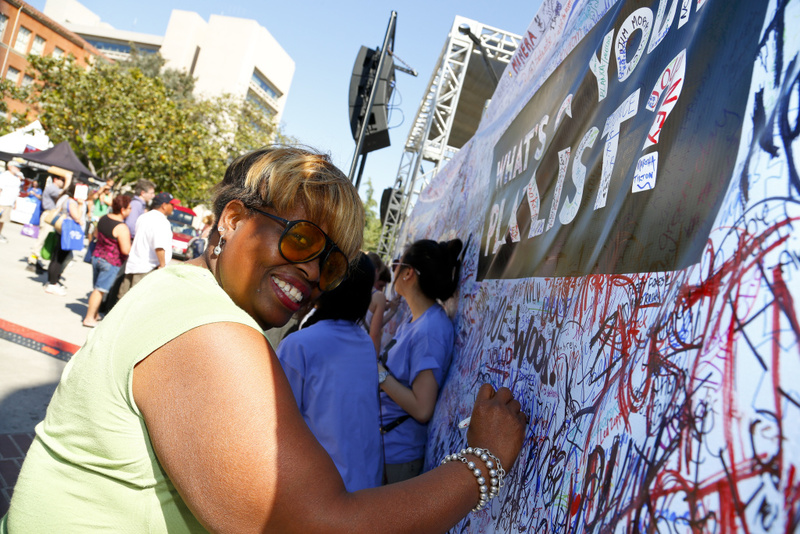 A general view during the 18th Annual LA Times Festival Of Books at USC on April 21, 2013 in Los Angeles, California. Spring has sprung. Books, bicycles, tamales, magic buses... this weekend is jampacked with stuff to do in Los Angeles and the rest of Southern California. And because Friday is 4/20, we've rolled in a few cannabis-themed events. 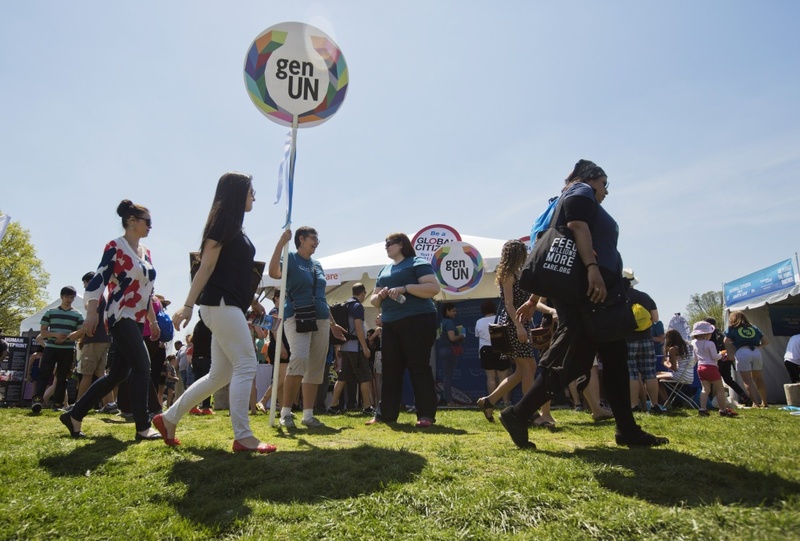 Concert attendees walk past information stands during the 2015 Earth Day concert in Washington, DC on April 18, 2015. WHEN: Saturday, April 21; 10 a.m. - 2 p.m. Bet you didn't know that L.A.'s sanitation department has its own mascot. His name is Mr. Recy-cle and he's the Beyoncé of anthropomorphic avatars. He'll unite with Tommy TV and Octo-Clean, who are basically the Kelly and Michelle of municipal mascots, for the city's annual earth-friendly celebration. Kids can explore garbage trucks and other city vehicles, plant seeds, play games and check out more than 50 exhibits related to city services and sustainability. DJ Jorge Nesta will drop beats and Salserinas will perform. Blake Hodges performs at Broke LA 2016. WHERE: The Regent — 448 S. Main St., downtown L.A. Discovery is the name of the game as emerging acts like Sizzy Rocket, Clara-Nova, Tek.Lun and robokid headline a budget-friendly alternative to The Festival Of Which We Do Not Speak. Four stages of music and comedy. An outdoor market. Yoga and art installations. That's a lot of bang for not a lot of bucks. Bonus: Saturday is also Record Store Day, so check out your favorite independent music outlets for special releases and deals on vinyl. 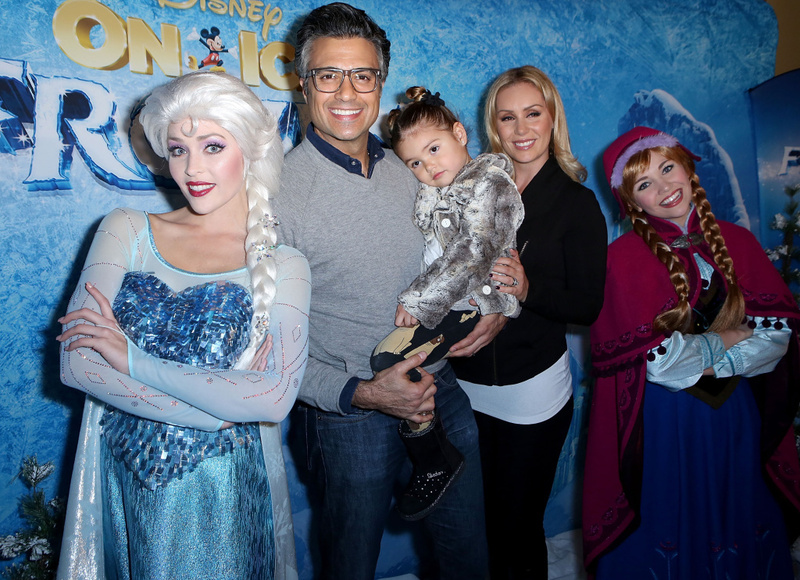 Elsa, Jaime Camil, Elena Camil, Heidi Balvanera and Anna arrive at the Los Angeles Premiere of Disney On Ice: Frozen at the Staples Center on December 10, 2015. Join icy Queen Elsa, snowman Olaf, mountain man Kristoff and his reindeer sidekick Sven as they race to release Arendelle from winter's grip. Ice skating meets special effects in this sing-along version of the Disney blockbuster. You'll also get to see some of your favorite characters from "Toy Story," "Finding Dory" and "The Lion King" along with Mickey and Minnie Mouse. 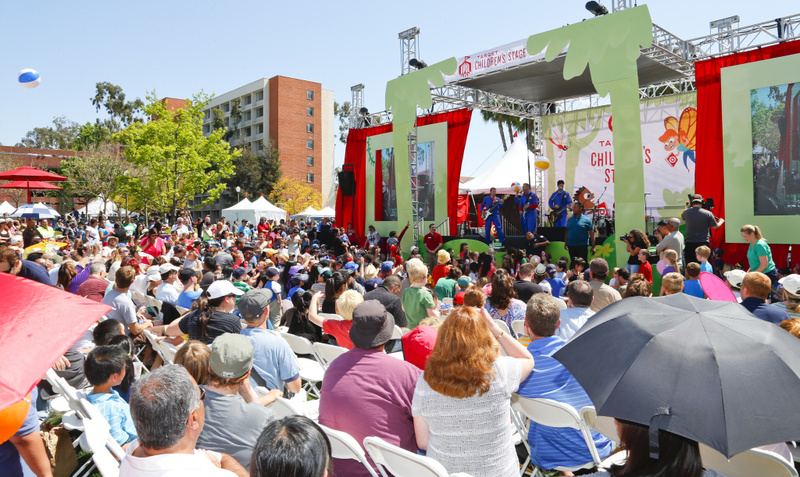 The Imagination Movers perform onstage at the 18th Annual LA Times Festival Of Books at USC on April 21, 2013 in Los Angeles, California. WHEN: Saturday, April 21 - Sunday, April 22; 10 a.m. - 5 p.m. Despite the name, this festival offers much more than books. KRS-ONE will talk hip-hop. Guerilla Tacos chef Wes Avila will lead a cooking demo. Composer Hélène Muddiman will discuss how blockchain is changing classical music. Those are just a few of the options. There will still be plenty of book signings and panel discussions with authors of all stripes, from crime writers to young adult novelists. Top draws include Junot Diaz, Alexander Chee, Aline Brosh McKenna, Patton Oswalt, Leslie Odom Jr. and Diana Gabaldon. 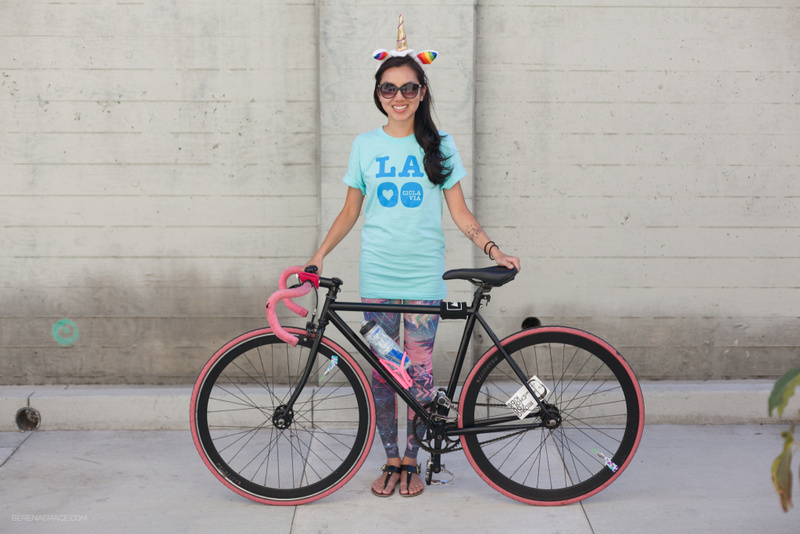 A rider from the October 2114 CicLAvia event. WHEN: Sunday, April 22; 9 a.m. - 4 p.m. This new, 6.5-mile route heads east, connecting San Dimas, La Verne, Pomona and Claremont. As always, the road will be closed to cars so bicycle riders, pedestrians, runners and skaters can take over. You don't have to traverse the entire thing. You can join in or check out at any point along the way. Each city will host a hub with free water, restrooms, basic bike repair and bike parking. Several vendors along the route will also offer deals and discounts. Visitors walk among the poppies at Antelope Valley California Poppy Reserve in Lancaster, California on March 19, 2017. WHEN: Saturday, April 21 - Sunday, April 22; 10 a.m. - 6 p.m. The Antelope Valley city of Lancaster boasts one of California's most abundant crops of poppies. Celebrate the state flower with a weekend of activities including motocross riders, a sea lion show, a petting zoo, a trampoline, handmade crafts, a car show and a farmers market. 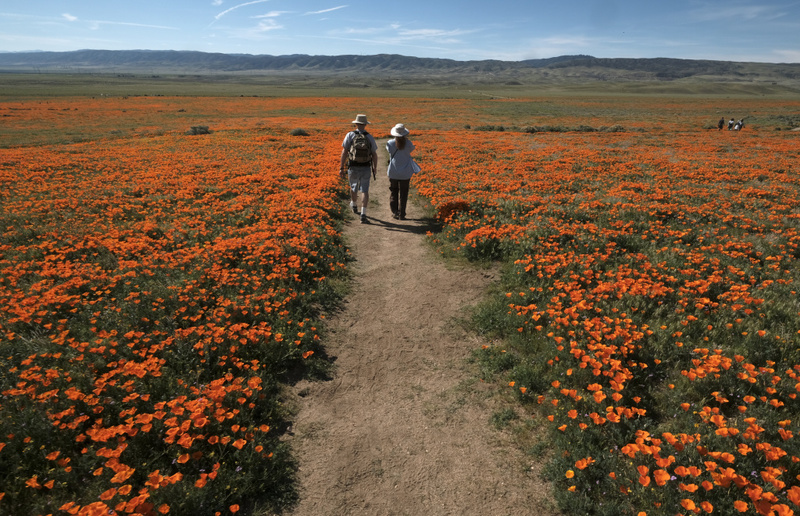 If you actually want to see these bright orange beauties in their spring glory, you'll need to drive to the Antelope Valley Poppy Reserve, 15 miles west of the festival. 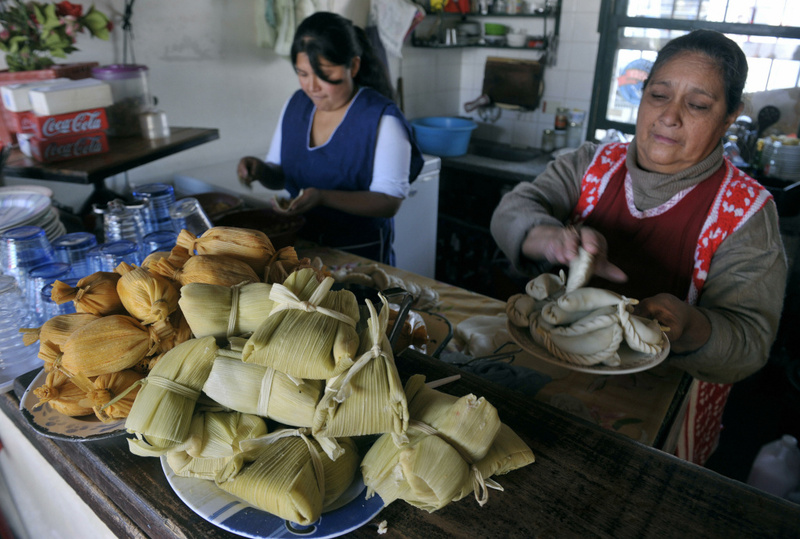 Tamales are displayed in a bar as women prepare empanadas in Salta, at the foothills of the Andes mountain range, in the Argentine northern province of Salta, on June 14, 2009. WHEN: Saturday, April 21; 11 a.m. - 7 p.m. It's time for masa mania! Watch home chefs and pros compete to see who makes the best tamale. Between stuffing yourself with the fluffy delights, catch performances from La Santa Cecilia, a Santana cover band and several Ballets Folklorico. There's storytelling and crafts for los niños. Ice Cube performs on Day 2 of the 2017 ACL Music Festival held at Zilker Park in Austin, Texas, on October 7, 2017. 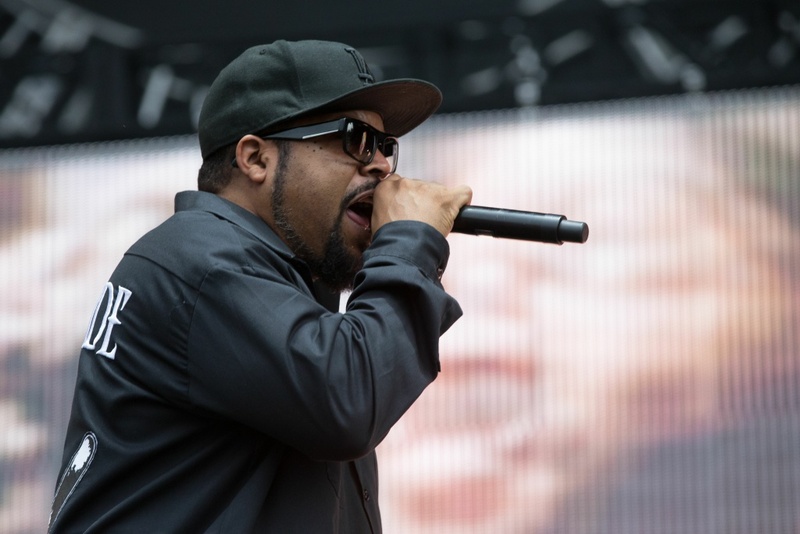 WHEN: Saturday, April 21; 7 p.m.
Ice Cube headlines a night of old school hip-hop featuring Bone Thugs-N-Harmony, Method Man Redman, DJ Quik, Warren G and Kurupt. Fall 2017 Dapper Day participants at Disneyland. WHEN: Saturday, April 21 - Sunday, April 22; 10 a.m. - 7 p.m.
Get dressed up in your snazziest, retro threads and ride the Matterhorn. Dapper Day officially happens on Sunday, during the park's normal hours but the expo runs through the weekend. 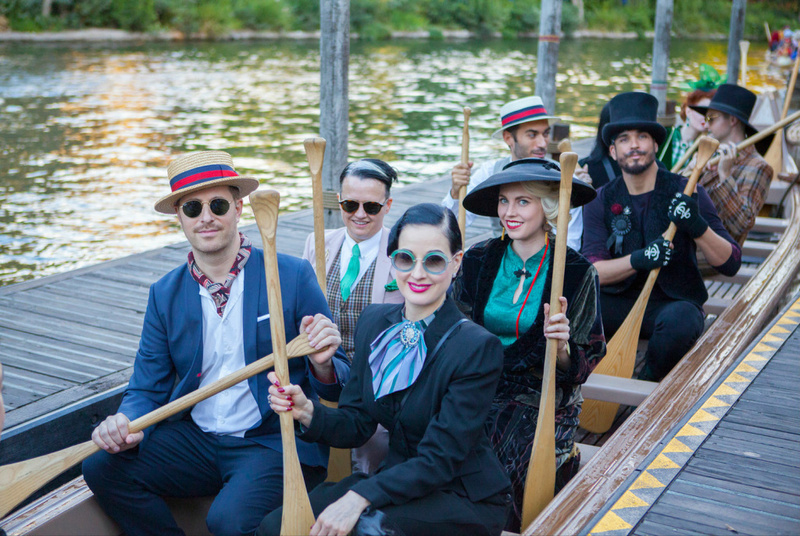 The expo features a marketplace of vintage and contemporary clothing and accessories along with performances by Daddy Wellington and his band and a book signing by Dita Von Teese. Free shuttles will ferry you between Disneyland and the hotel. 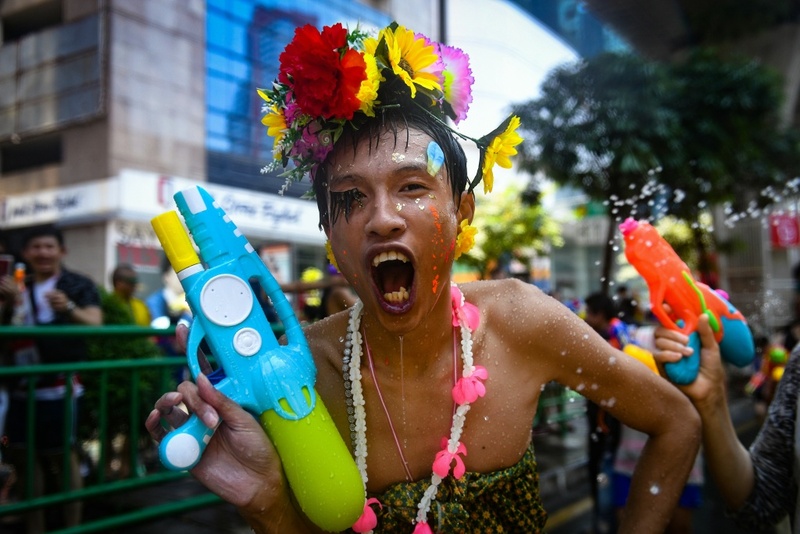 A reveller wearing a colorful costume holds a toy water gun during a mass water fight in celebration of Songkran, or Thai New Year, on Silom Road in Bangkok on April 13, 2018. WHEN: Sunday, April 22; 8 a.m. - 8 p.m.
You can check out folk dancing, live jazz, a costume show, a Muay Thai face-off, fruit-carving and lei-making demos and a Thai wedding ceremony while you nosh on Thai food from some of the neighborhood's best restaurants. 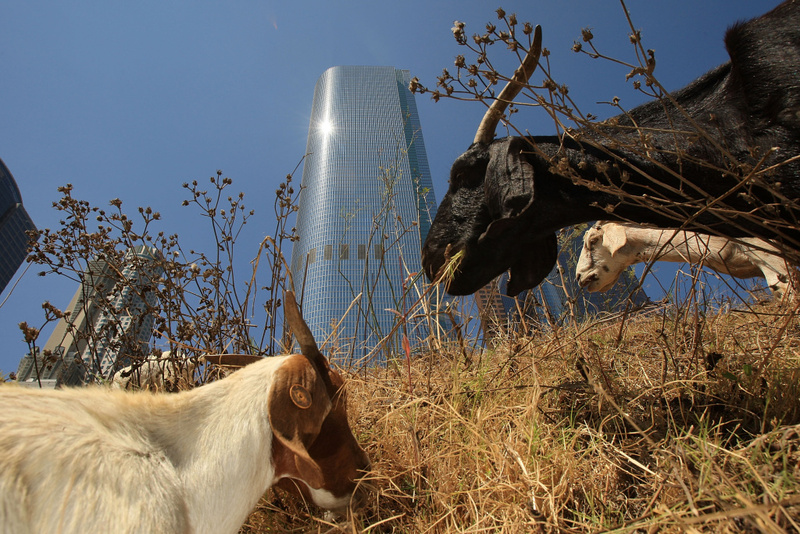 A herd of 100 South African Boer goats chews on tough weeds and dry grasses to clear a steep hillside lot near the Angels Flight funicular railroad on September 9, 2008 in downtown Los Angeles. WHEN: Sunday, April 22; 11 a.m. - 1 p.m.
Meet the goats who work for the city of Rancho Palos Verdes, providing natural brush clearance for wildfire safety. Goat-herding demonstrations galore. 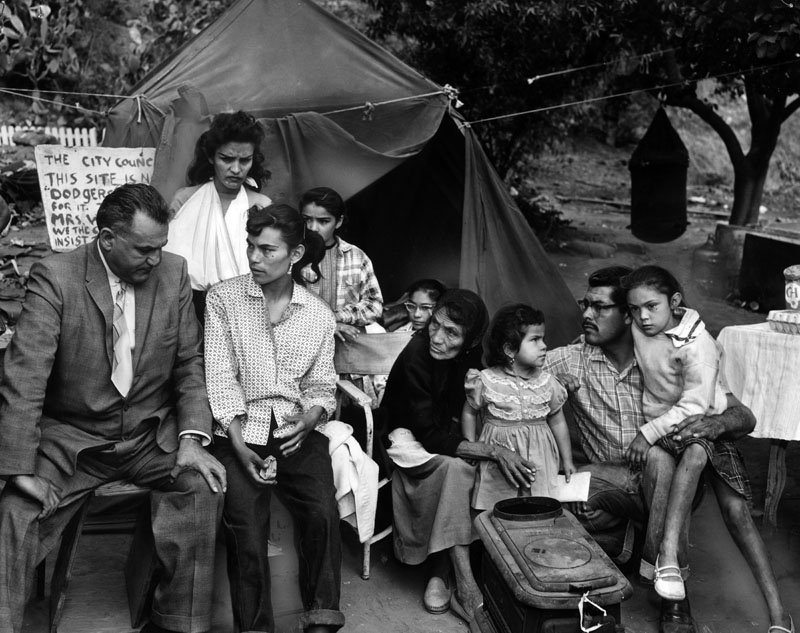 WHEN: Saturday, April 21; 3 - 4:30 p.m.
Nearly 1,100 families used to lived in Chavez Ravine, the swath of land now occupied by Dodger Stadium. Through eminent domain, these families were forced out of their homes. This panel brings together five elders who will discuss their experiences growing up in the neighborhood. Conductor Michael Tilson Thomas performs on stage with the YouTube Symphony Orchestra at Sydney Opera House on March 20, 2011 in Sydney, Australia. 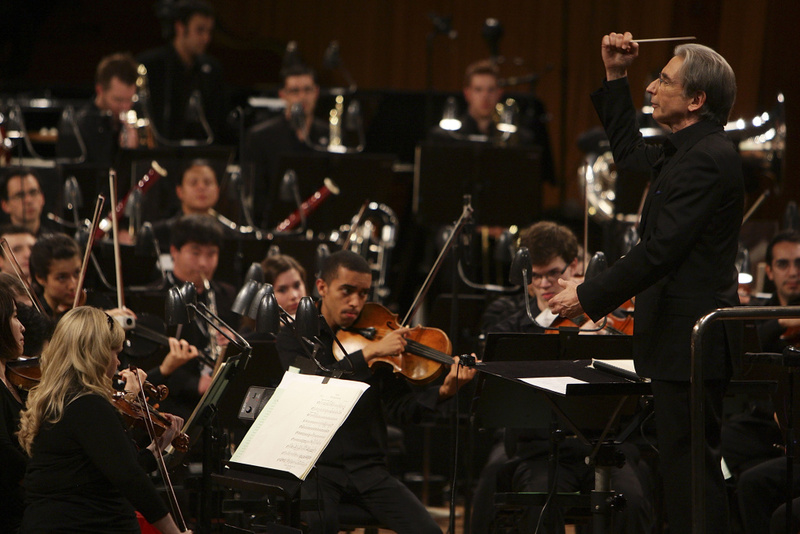 WHEN: Sunday, April 22; 7 p.m.
WHERE: Walt Disney Concert Hall — 111 S. Grand Ave., downtown L.A. There are still some balcony seats left to watch conductor Michael Tilson Thomas lead the Colburn Orchestra in a performance of Mahler’s Symphony No. 1 in D Major, "Titan." 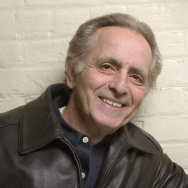 Thomas is an L.A. native who serves as music director of the San Francisco Symphony. After the concert, there's a fancy gala dinner at Vibiana to honor Thomas and architect Frank Gehry, but you won't get into that for $15. 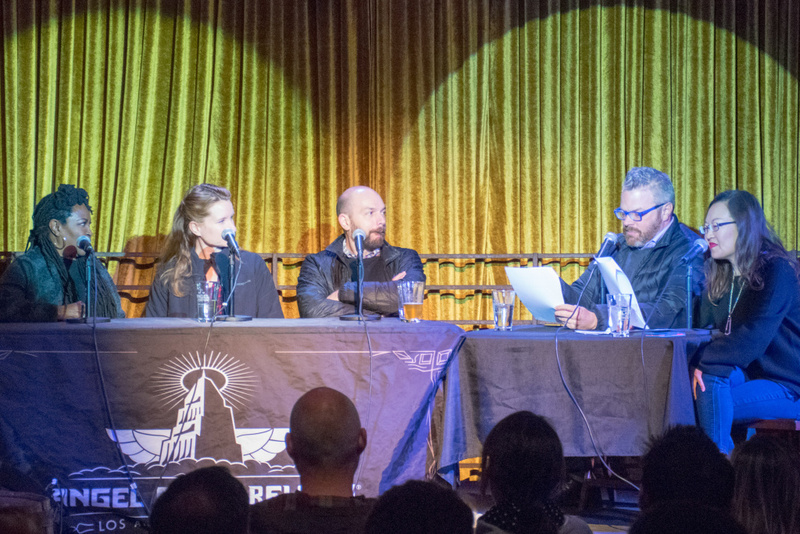 Three panelist participate in a live taping of the podcast "Go Fact Yourself" with hosts J. Keith van Straaten and Helen Hong (at right). WHEN: Sunday, April 22; 5 p.m.
WHERE: Angel City Brewery — 216 Alameda St., downtown L.A. Maximum Fun stages a double-header live taping of its new comedy quiz show podcast Go Fact Yourself. Helen Hong and J. Keith van Straaten co-host as celebrity guests Drew Droege, Chelsey Crisp, Fred Willard and Andrea Savage are asked about obscure topics they claim to know a lot about. Scrabble, Disneyland, artificial sweeteners, 1970s TV commercials — it could be anything. 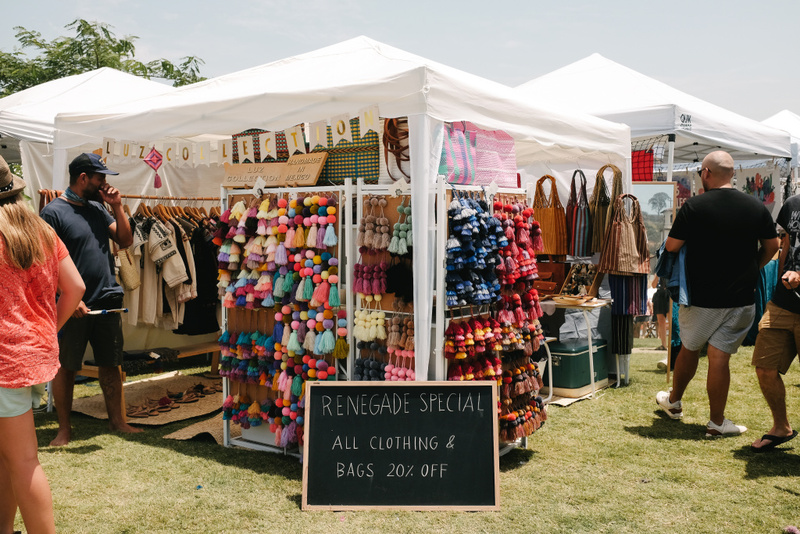 The Renegade Craft Fair at the Los Angeles State Historic Park, summer 2017. WHEN: Saturday, April 21 - Sunday, April 22; 11 a.m. - 6 p.m.
WHERE: Los Angeles State Historic Park — 1245 N. Spring St., downtown L.A.
Peruse clothes, housewares and goods from emerging and established makers. 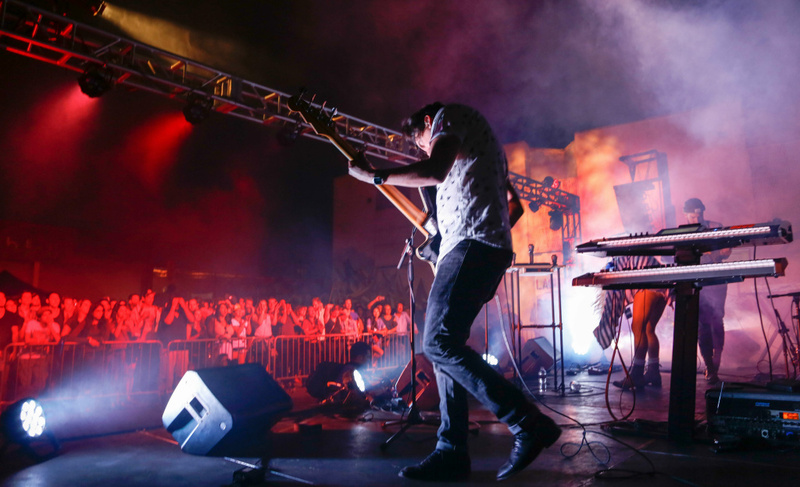 Local DJs will spin rarities and remixes while you attend workshops or eat at food trucks. The "Down the Rabbit Hole" room at The Pink Floyd Exhibition: Their Mortal Remains at the Victoria and Albert Museum in London on May 9, 2017. WHERE: The Reef DTLA — 1933 S. Broadway, downtown L.A.
Navigate the winding corridors of the Hotbox white-out maze, leave your creative mark in our Giant Coloring Book, crawl through the adult-sized Pillow Fort or grab a quick bite from Munchie Mountain, a floor to ceiling snack bar. 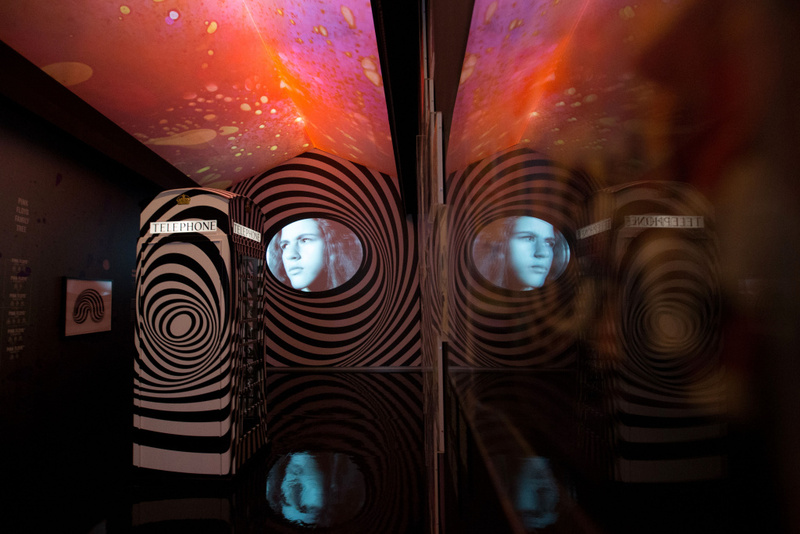 Those are a few examples of the immersive experiences at this psychedelic wonderland inspired by marijuana culture. The VIP room has an all-you-can-eat chicken nugget and tater tot bar. 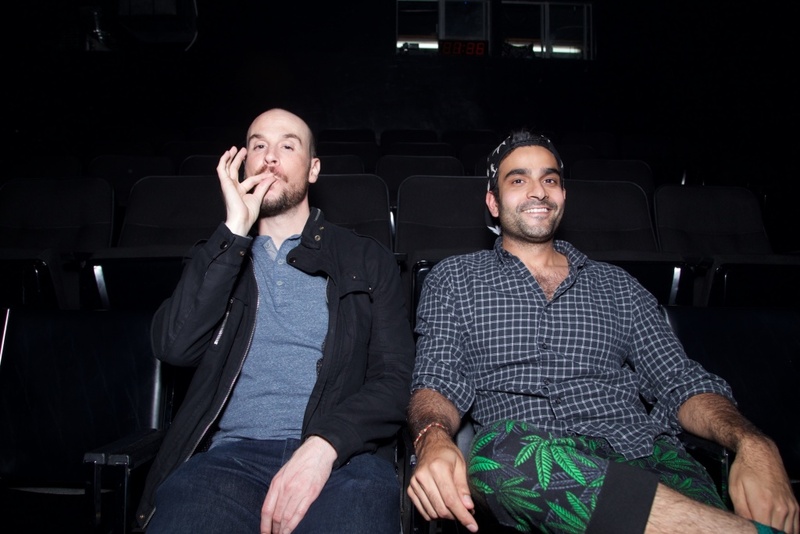 Host James Mastraieni and co-host "DJ Blue Dream" aka Dhruv Uday Singh of the I'm Too Effing High comedy show. WHEN: Friday, April 20; 10 p.m. Celebrate 4/20 as you watch a panel of stoned comedians go through a series of comedy challenges, games and performances. 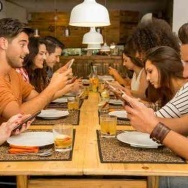 Are people funnier when they’re high? Who knows?